Being exposed to bug and weed killers or solvents may raise your risk of developing Parkinson's disease. A study published in Neurology on May 23 shows that there was between a 33 to 80 percent increased risk of developing the neurodegenerative disorder that increased with exposure. People living in rural areas may be at the most risk. "Due to this association, there was also a link between farming or country living and developing Parkinson's in some of the studies," study author Dr. Emanuele Cereda, who is with the IRCCS University Hospital San Matteo Foundation in Pavia, Italy, said in a press release. Parkinson's disease is a brain disorder that is caused by the loss of dopamine-producing brain cells. Dopamine is a neurotransmitter that controls for movement and other neurological functions. As a result, people lose control of their motor functions, leading to shaking, balance issues, and stiffness. Other symptoms, including vivid dreams due to an REM sleep disorder, sense of smell, constipation, depression may also be observed. About 50,000 to 60,000 new cases of Parkinson's are diagnosed each year, according to the National Parkinson Foundation. It is the 14th leading cause of death in the U.S. There is no known cure, but there are treatments that might improve the quality of life. Researchers reviewed 104 studies that analyzed exposure to chemical killers of weeds, fungus, rodents or insects, and risk for Parkinson's disease. They also looked at how close the subjects were to the substances, including if they lived in the country where they were used, what they did for a living and if they drank well water. The studies showed there was a clear risk increase with exposure. The eed killer paraquat or the fungicides maneb and mancozeb were linked to a doubled risk of developing the disorder. The scientists did not look at the type of exposure, meaning whether the pesticides were inhaled or absorbed through the skin. They also could not prove that pesticides directly caused Parkinson's. "I think the study is actually a big advance in our research knowledge of the relation between chemical exposures and the basic neurological injuries," Dr. Arch Carson, associate professor at the University of Texas School of Public Health in Houston, told Medpage Today. 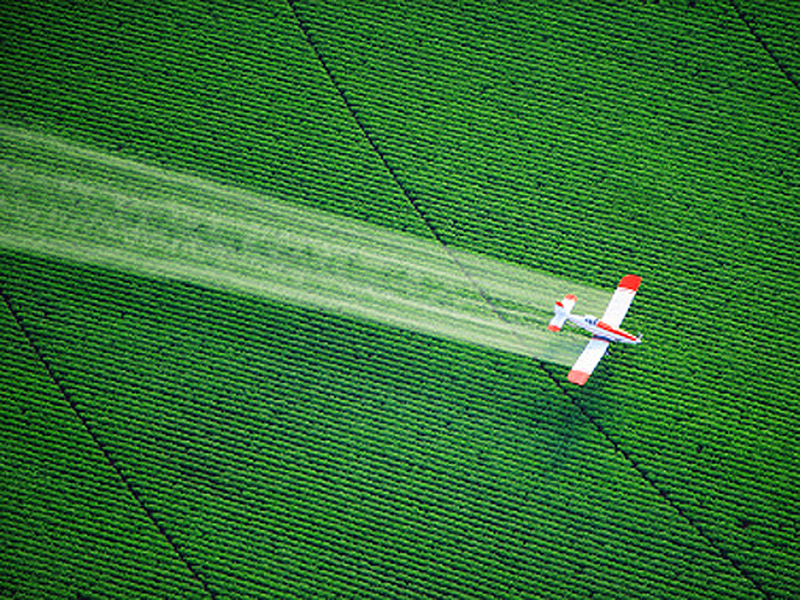 "This report is the first to show that there is a positive relationship between not only insecticides and herbicides but also some other solvent chemicals to which many people are exposed and the development of Parkinson's syndrome." Carson, who was not involved in the study, said there were limitations with the new findings. He pointed out that other factors, like family history, smoking, exposure to other chemicals and occupation have also been strongly linked to the disease. "It's very difficult to put these (risks) into practice except in terms of preventive health, and reducing or eliminating exposures to such suspect materials over time," he noted.